Following on from successful TV decor shows about "upcycling", presenter Kirstie Allsopp is back on the road to help local people learn how to make things for themselves. 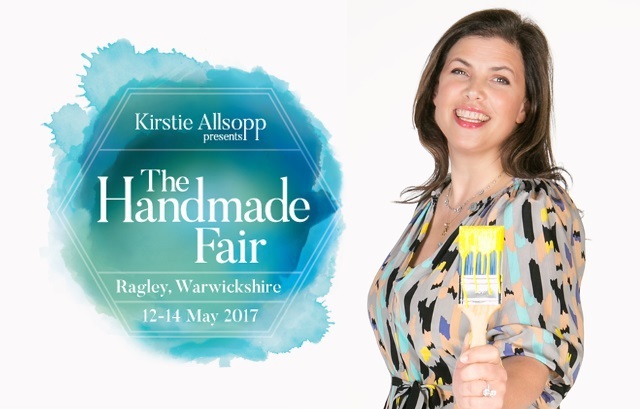 The Handmade Fair, presented by Kirstie Allsopp, will be at Ragley Hall in Warwickshire, near Birmingham, from May 12 to 14. It's a day out for anyone interested in the beauty of handmade items and rejuvenating old products with a touch of creativity. As well as exhibitions, there will also be areas that encourage visitors to learn skills needed to make things for themselves. The fair includes shopping villages with handmade products as well as sellers who can give advice and provide a range of tools and materials to enable people to try upcycling for themselves at home. 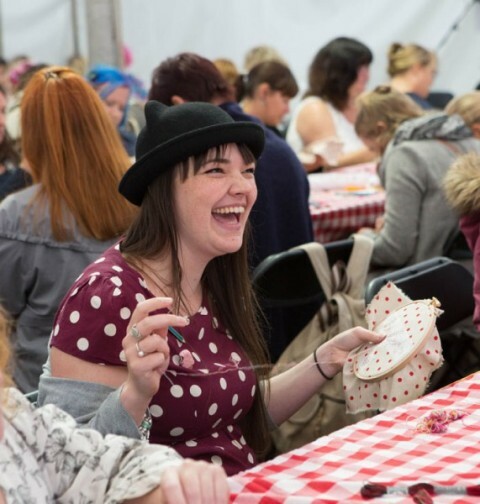 There's even a theatre to hear talks from experts and take part in workshops over each of the days plus a wealth of refreshment, cake and food stalls. Upcycling - transforming items in a creative way - has become popular in recent years as way of saving money and helping the environment by recycling. It is a way of making the most out of waste materials and unwanted products by turning them into something useful. It could be using spare pieces of material to make a quilt, repainting worn cupboards and tables, or transforming basic pillows into something more enchanting by adding accessories, buttons and ribbons, for example. At the Fair, hands-on classes take place in the Skills Workshops while Grand Makes will cover everything from upholstery to origami. The Super Theatre will be home to inspiring talks and demonstrations from the country's best-loved makers and hosted by Kirstie Allsopp during the Friday sessions, Liz Earle on the Saturday, and Patrick Grant on the Sunday. 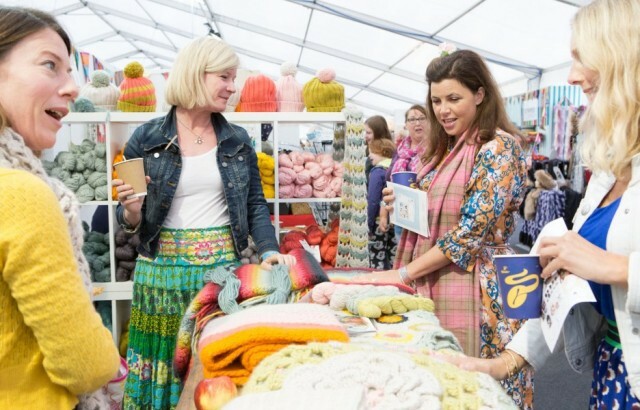 Kirstie Allsopp made a name for herself on property TV show Location, Location, Location with Phil Spencer but has gone on to claim more success presenting othe Channel 4 programmes Kirstie's Homemade Home, Kirstie's Handmade Britain and Kirstie's Best of Both Worlds. 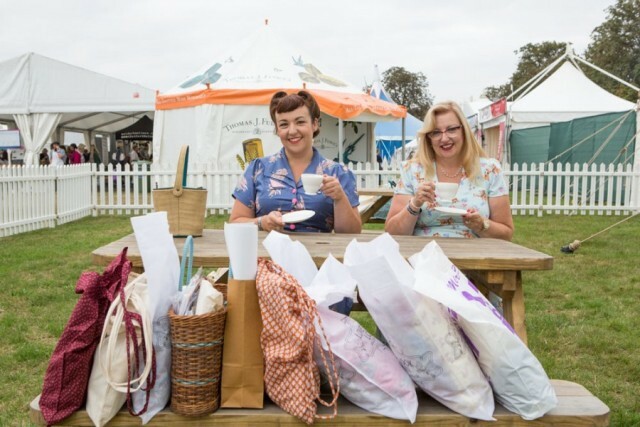 Those programmes on handmade products led to a popular flagship Handmade Fair at Hampton Court, which has branched out to the Midlands and Ragley Hall in Alcester. A move to promote upcycling is making the most of the fashion for vintage and also looking back to times when products would be repaired and reinvigorated using creative talents, rather than thrown away. Tickets for the fair start at £10.70 for entry only and range up to £23.54 for the full experience package from the ticket website. A ticket hotline is available on 0871 230 7153.